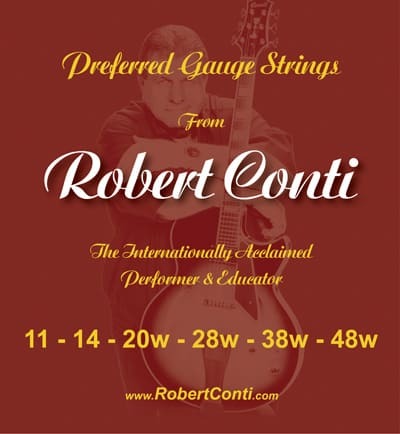 Since the early 1960s, I was under the mistaken impression that heavy gauge strings provided better tone. In the early 1990s, I experienced bleeding on the tips of my left hand fingers. After endless gauge comparisons, I settled on the above gauges, as I discovered there was no loss of tone. Perhaps you will also find these gauges acceptable. Remember, to avoid causing extreme tension changes on your guitar’s neck, it is always best to change strings only one at a time, using the same gauge strings for optimum playability.